This resource contains our updated 2019 recommend for debugging which we hope you can use to find and iron out any kinks in your software. trying to find or quash a bug? If you are completely new to the world of debugging and how to debug, then we’d recommend you check out this piece here. Debugging tools are a must for anyone serious software developer, programmer and of course, nefarious hacker. We’ve listed a bunch of debugging tools (that we hope) you will find useful in your perennial quest to seek bugs in software, code and programs. It’s also worth mentioning for those that are interested in bug bounty programs that ‘de-bugging tools’ are definitely very useful when it comes to finding vulnerabilities that might exist on platforms, networks or other. 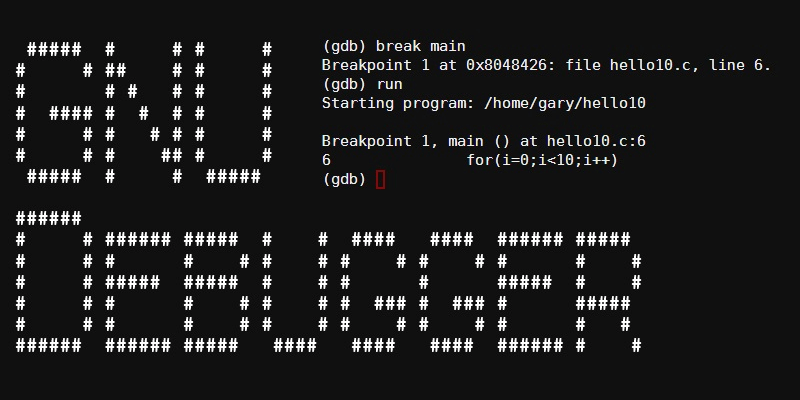 GDB, or, the GNU Project debugger, is a cybersecurity pentesting/ hacker tool that allows the user to audit and discover what is being executed witin a web app or program (software) whilst it is running. GDB is especially helpful for developers or programmers that are keen to understand why their application or program is crashing or whether their code has any vulnerabilities. 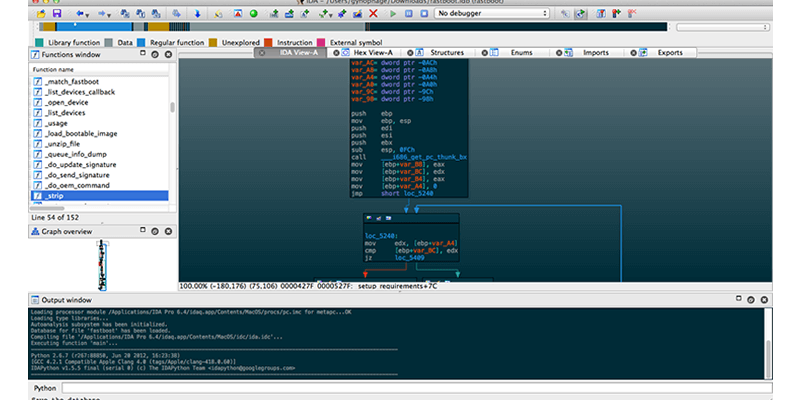 Yes, GDB is free hacking tool released under the GNU General Public License and was modeled after DBX Debugger. Does GDB Work on all Operating Systems? Yes, This tool works on a lot Unix-like sytems and works for many programming languages that includes C, C++, Ada, Free Pascal, Fortan, Java and many more. What are the Typical Uses for GDB? GDB has four major uses; these are: Seeing what happens when you start your program, detailing anything that might be affecting its’ behavior. Seeing what happens when you stop your program at specified actions or times of action. Investigate and try and understand why your program has stopped working the way it is meant to and alter things in your program to allow the developer to experiment with correcting the effects of a bug. IDA is a multi-platform (including Linux) multi-processor disassembler and debugger that programmers and developers can use to debug their applications. The ‘IDA Disassembler and Debugger’ has become a popular tool when evaluating code that is not working the way that it shold be. Furthermore, IDA Pro allows the user to analyse possible vulnerabilities. According to the developer, the ‘IDA Disassembler works as close as is possible to the original source code’ hence why it is popular for those seeking a good debugger tool. The latest full version of this tool is commercial but you can download a less capable and earlier version (version 5.0) for free. Does IDA Pro Work on all Operating Systems? This tool works on Windows, Linux and Mac OS X operating systems. What are the Typical Uses for IDA Pro? Two of the key features of this tool are Multitarget Disassembler and Multitarget Debugger. Multitarget Disassembler is a Disassembler module for a huge number of processors. It has full extendability and interactivity and close as possible to a high level source code. While Multitargert Debugger is a debugger that adds dynamic analysis to the data gathered by the disassembler. It also offers complete features expected from a debugger. Yes, Immunity Debugger is free to download. Does Immunity Debugger Work on all Operating Systems? 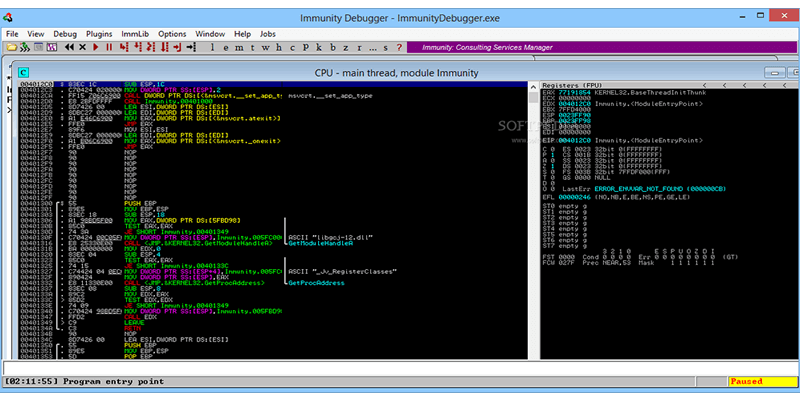 Immunity Debugger works on Windows operating systems. What are the Typical Uses for Immunity Debugger? Immunity Debugger is used analyze malware, write exploits and reverse engineer binary files. This tool builds on a solid user interface that includes function graphing, its the industry’s first analysis tool build only for heap creation and a huge and support Python API for an easy extensibility. WinDbg, like OllyDbg, is a multipurpose debugger for Microsoft Windows that is distributed by Microsoft. This hacker tool can be used to debug user mode applications, drivers, and the operating system itself, i.e. within the kernel mode. WinDbg runs from a GUI application. Many users of this tool also tend to use the Visual Studio Debugger. WinDbg can be used for debugging kernel-mode memory dumps. For those that don’t know, ‘kernel-mode memory dumps’ is the data that is accumulated from the ‘Blue Screen Of Death’. WinDbg can also be used for post-mortem debugging. 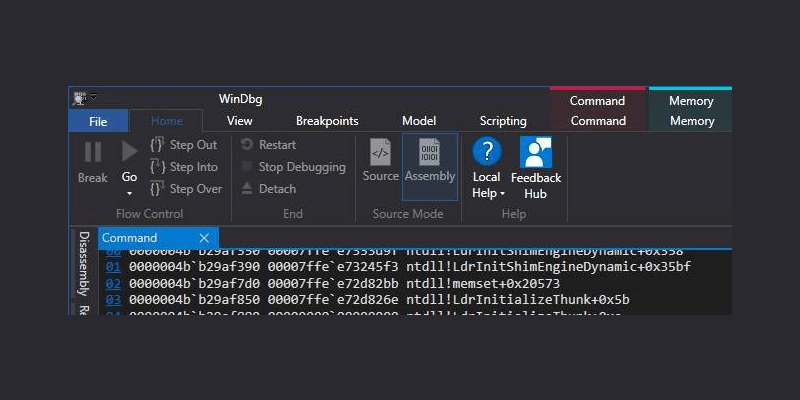 WinDbg also has the ability to automatically load debugging symbol files (for example PDB files) from a server by matching various criteria (e.g., timestamp, CRC, single or even the multiprocessor version). Just like WindDbg, all official versions are free. Does WinDbg Work on all Operating Systems? No, It only works on Windows operating systems. What are the Typical Uses for WinDbg? The primary purpose of this tool is to debug memory dumps after Windows operating system encounters a crash or what other calls the “Blue Screen of Death”. This tool can also let you debug in Kernel mode.